Our annual customer conference, Workday Rising, will be held this year at McCormick Place West in Chicago, Sept. 26-29. Workday Rising gives our customers the chance to connect and collaborate with each other, interact with partners, and spend time with Workday teams including Services and Products. This year, we’re excited to provide a greater variety of sessions, including more business-oriented topics and views from industry luminaries. Kickoff Keynote. Nothing launches a great event like a speaker who instills inspiration and energy, which is why we’re delighted Dr. Peter Diamandis will deliver the Workday Rising kickoff keynote. Dr. Diamandis is founder and executive chairman of the XPRIZE Foundation, and a true visionary on how the digital disruption impacting every major industry presents opportunities for those who embrace it. Workday Executive Keynote. Hosted by Workday Co-Founder and CEO Aneel Bhusri and Co-Founder and Chairman Dave Duffield, this session will take place on Tuesday, Sept. 27, at 8:30 a.m. CT. Please register online to join the live broadcast. Workday Customer Keynote. No one tells inspiring stories of growth and transformation better than our innovative customers, and we’re delighted to have Workday customers including Airbnb and Hitachi share their experiences and vision in our keynote session on Wednesday morning. Business Leader Forums. This new series of talks, featuring executives from Accenture, Caliber Collision, Davita HealthCare Partners, Deloitte, IBM, IDG, Patagonia, Workday, and more, will bring leading thinkers and practitioners to an intimate stage to share insights about managing through change. They’ll share perspectives based on global business trends and their own impressive leadership experiences at some of the world’s most admired organizations. In addition to the above, the Innovation Exchange Expo lets customers connect with services, software, and advisory partners to discuss their business goals and learn how to gain the most value possible from their Workday deployments. And as always, Workday Rising offers tremendous opportunities for learning, with more than 350 sessions to choose from including customer case studies, interactive courses, deep dive product demonstrations, and forums for customers to share best practices and ideas with each other. 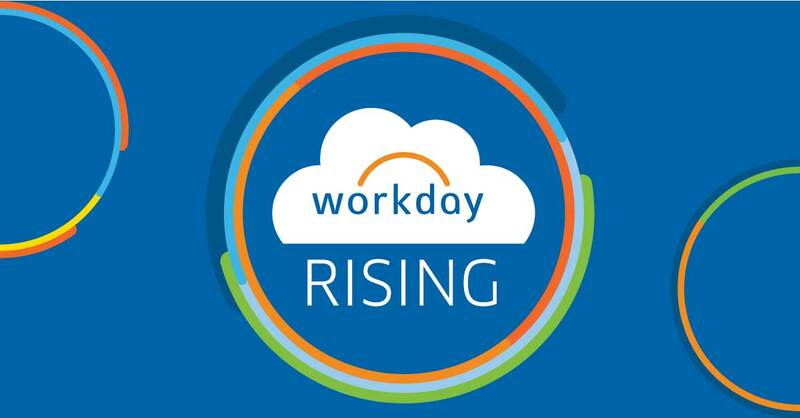 Workday Rising is always a highlight of our year, and we hope to see you there.